In any BIM related department, Christmas came generally in May. And with my heart full of joy and wonder, I have downloaded the new version of Revit, hopping to finally find the Answer of the BIM, the universe and everything. 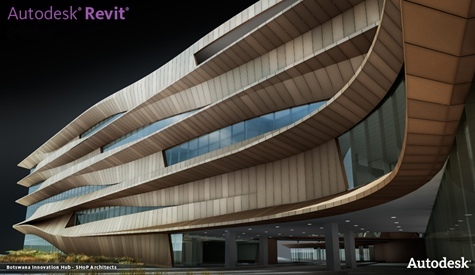 So, no, it’s not the Answer, but Autodesk keep going on developing a BIM solution largely accessible by anyone, with a great user interface and, since we aren’t designing the Guggenheim museum of Bilbao every day, large modeling possibilities. For my part, I was quite impressed by the new stairs tool, which is now allow us to design and document properly almost every type of stairs. The new IFC implementation seems finally able to import correctly a model and there are also some improvement in view templates, Revit Server, and many other. If you want a more exhaustive description of these new enhancements, David Light describe them in his blog.